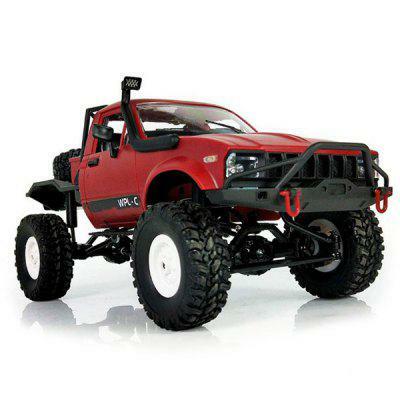 No R/C vehicle is perfect and there are times when our expectations far exceed what these models can do. That said, there are some radio-controlled cars and trucks that can surprise us. Horizon Hobby has purchased select assets of Hobbico, including the Axial, ARRMA, and Tower Hobbies brands. Axial has launched a revamped SCX10 Deadbolt, now running on the SCX10 II platform. AMain Hobbies is running an inventory reduction sale. Many popular radio-controlled models (RTRs and kits) are on sale, along with gear and accessories. This is a limited-time sale, so visit amain.com to see what’s in store. Thanks to Exclusive R/C for sponsoring this episode of The RC Newb Podcast. The next time you visit thescaleking.com, use coupon code RCNEWB10 to save 10% on your order.